Aqualung/My God Jethro Tull Tribute Blog: JETHRO TULL-"SONGS FROM THE COLISEUM"-A two CD Bootleg. 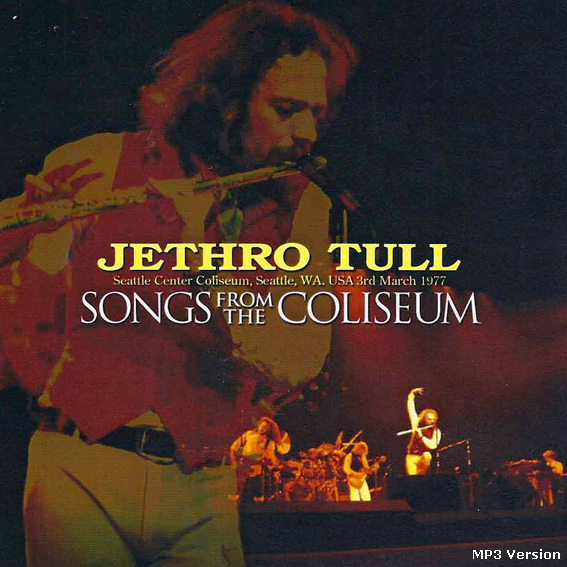 JETHRO TULL-"SONGS FROM THE COLISEUM"-A two CD Bootleg. 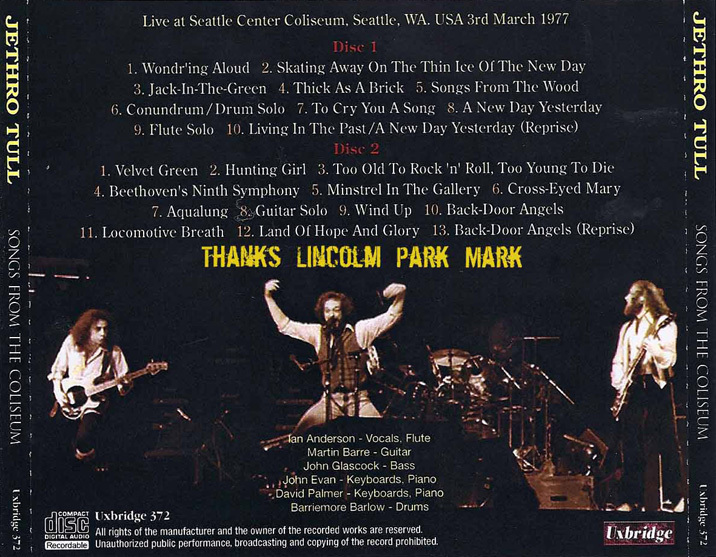 JETHRO TULL-"SONGS FROM THE COLISEUM"- Live at the Seattle Center Coliseum, Seattle, WA, March 3, 1977. This is an excellent audience recording from the concert that Tull did in Seattle as a part of the Songs From The Wood Tour in 1977. The sound is awesome and the band were in very good form. A very welcome addition to the Jethro Tull Bootleg Universe.